Our elegant St. Louis hotel is stacked with luxurious on-site amenities designed to make each and every guest feel at home throughout their stay with us. 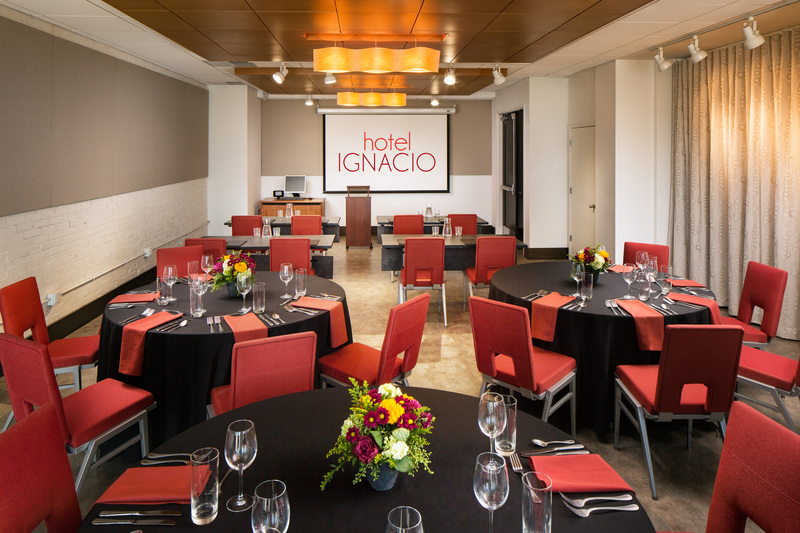 At Hotel Ignacio, we pride ourselves on our ability to provide a quality stay for each of our guests, and our friendly, knowledgeable staff go out of their way to make this possible. Upon arrival at Hotel Ignacio, guests can connect to our complimentary Wi-Fi, and take a seat in our spacious and cozy lobby. Our hotel’s on-site dining options allow guests to enjoy spectacular St. Louis cuisine without ever having to leave the hotel! 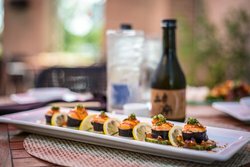 Our Baiku Sushi Lounge serves spectacular Japanese food in an elegant setting, while our traditional Triumph Grill excels in American fare. Spend a day exploring St. Louis on one of our house bikes, or prepare for your big St. Louis conference in our on-site business center. Make sure you’re always looking your best by indulging in our hotel’s weekday dry-cleaning services. Bringing Fido along for the ride? Our pet-friendly St. Louis hotel welcomes dogs for a small fee. 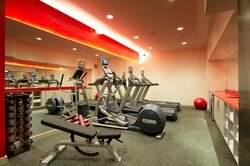 Our St. Louis hotel’s luxurious on-site amenities provide each guest with a comfortable relaxing stay during their time in St. Louis. Whether you’re staying with us for a romantic getaway or traveling to the area for business, we allow each guest to feel pampered and ready to take on the day! 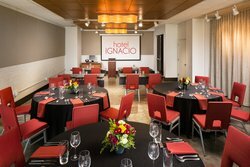 Hotel Ignacio features two impeccable on-site dining options, perfect for whatever mood you may be in! 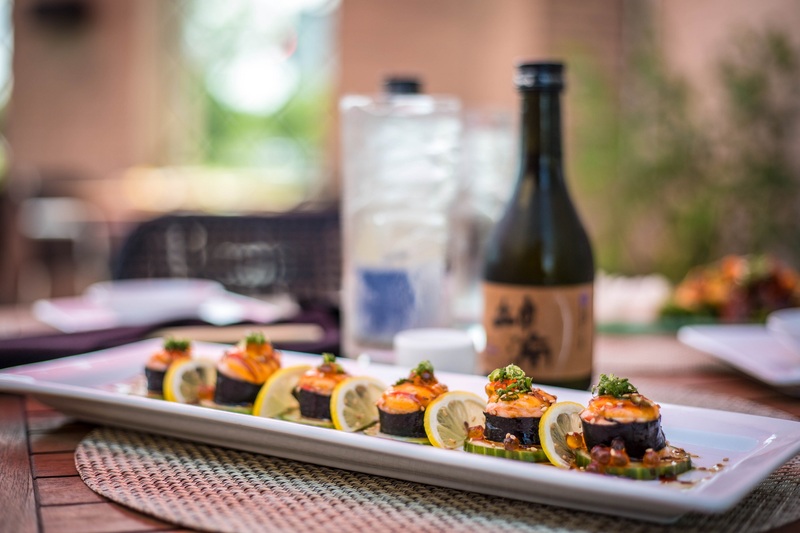 Baiku Sushi lounge is an elegant spot to enjoy some hand-crafted sushi rolls by day, turning into an upscale spot for trendy nigiri and sake in the evening. Triumph Grill is the place to go for delicious American fare, serving breakfast, lunch and dinner daily. Enjoy menu items like burgers, beers and sandwiches. Guests may enjoy room service from both restaurants. Bringing your furry friends along on your St. Louis getaway? Hotel Ignacio welcomes dogs! For a fee of $75, guests may bring their pups along. Learn more about our pet-friendly policies by visiting our policy page. Explore St. Louis on wheels! Hotel Ignacio provides guests with bicycles that they can rent out for a day of exploring our beautiful city. 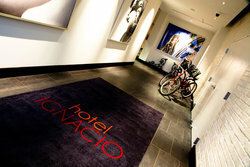 Ask our friendly concierge for advice on trails and attractions to visit during your day out on the bikes! Need a place to focus and get some work done? 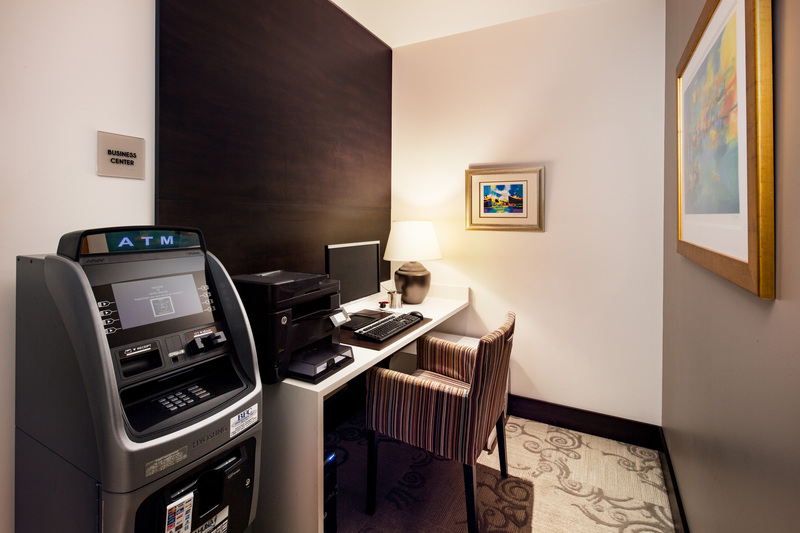 Our hotel’s on-site business center features a computer as well as additional business related amenities, creating a perfect space for guests to check their work email or prepare for an upcoming meeting or conference. The Madrid Room is an intimate space that can accommodate meetings and special occasions for up to 70 guests. The space is a mix of contemporary design with an urban edge which perfectly reflects our hotel and our location in St. Louis’ arts district. Don’t let your travel plans impact your fitness routine! 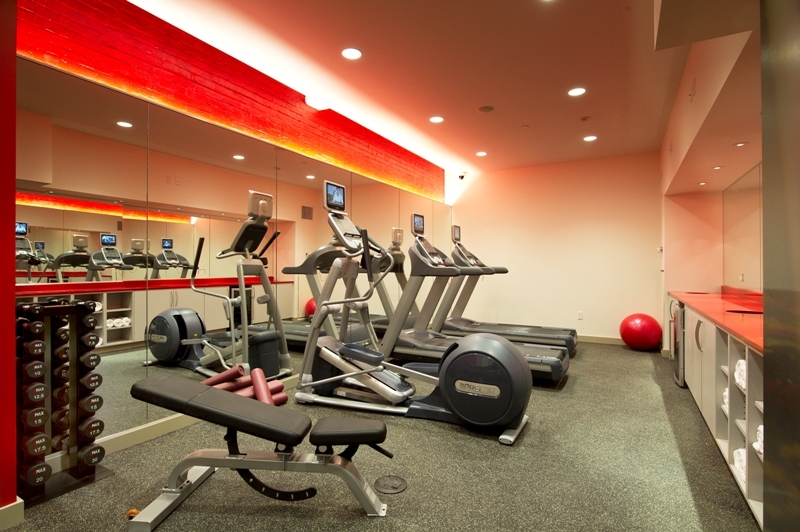 Our on-site fitness center features state-of-the-art equipment like elliptical machines and free weights, designed to give each guest a great workout!